Yay! Another fresh park to add to the list of playground fun in the west! 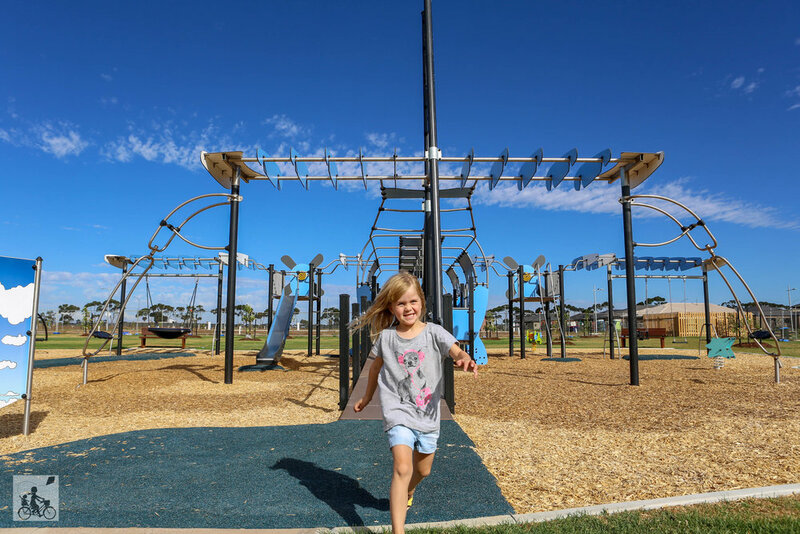 Aeroplane Park in Tarneit set to open on March 17 and Mamma got to have a quick sneak peek at what to expect when the playground takes full flight! The main structure is a fantastic huge blue plane complete with pilot seats, cabin games, slides, wings and heaps more to spark the imagination. There is also a seesaw contraption, a nest swing, little baby swing and rockers and a nice big green space for soccer and ball games. Mamma looks forward to seeing lots of kids enjoying this new spot and can only imagine the fun that will take place once passengers and crew can get on board!